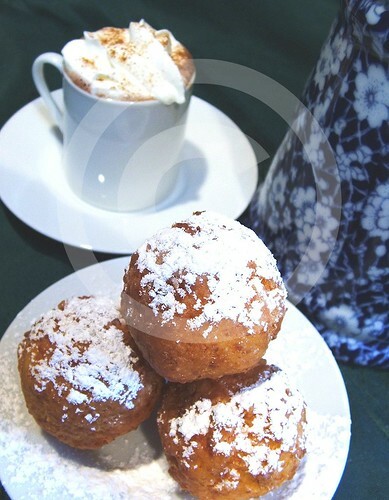 Last year I did a quickie post on Colombian bunuelos but I did not do the How-2 Guide or give a recipe. I will do that now. Mix all ingredients (except oil) in a bowl. (Mix the bunuelo mix with the cheese © 2005-2006 Nika Boyce All rights reserved) Knead, adding a little bit of milk to often the dough and make it hold together. (What the mix should look like before making into balls © 2005-2006 Nika Boyce All rights reserved) Make balls a little smaller than the size of a golf ball, DO NOT COMPRESS the dough. (Roll dough into loose balls, not hard packed ones © 2005-2006 Nika Boyce All rights reserved) DO NOT DROP THESE DOUGH BALLS INTO HOT OIL. Heat the oil to very warm (you can stick your finger in it but not very long). Gently drop the balls into the oil and then turn up the heat. 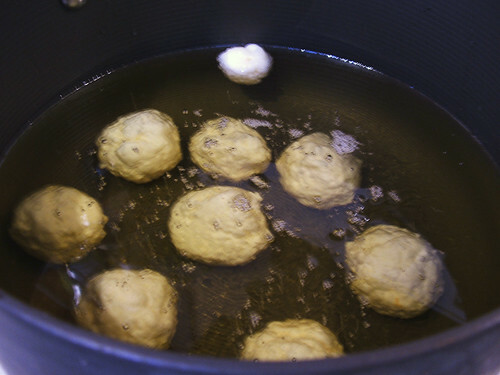 The balls will linger at the bottom of the pot until the oil heats up. They will turn themselves as they come up “for air.” Fry until light brown. Remove to a drained surface to cool. (Start in cool oil to avoid explosions © 2005-2006 Nika Boyce All rights reserved) For the next batch let the oil cool down (doesnt have to be as cool as when you first started) such that a test dough ball will drop to the bottom and then rise slowly to the top. Once the oil has cooled enough to do this, add your next batch. Always use a splatter shield.If you drop them into hot oil they will explode and could seriously hurt you. food, Colombia, Colombian, bunuelo, christmas, navidad, latin, latino, hispanic, dessert, sweet, sugar, cheese, fried. I’m going to give these a try. I can’t tell you how many recipes (even the ones in the colombian cookbooks–in english and spanish) have failed me, and I am a fairly decent cook. I wish you all the luck… try to follow these directions closely, especially re: the oil temperature and dont forge to use an oil splatter guard! Let me know how it goes. Is it necessary to use Bunuelina flour? Or will any kind of flour work? Mitch – this is not wheat flour . it is made of corn starch. Mix the cornstarch, sugar and baking powder. Add the cheese and mix well keeping it fluffy, not doughy. Add the eggs and mix together, keeping it light. Now add enough milk or water to slowly start forming a dough. Do NOT press together tightly. Start making balls the size of large walnuts. You may need more milk or water for them to hold together. Do NOT make tightly pressed balls. Heat oil to a warm-hot temperature. Test by dropping in a tiny ball of dough. If it stays on the bottom, too cold. If it rises to the top, too hot. When the tiny ball rises slowly to the top, it’s ready. Put enough balls in the fryer to layer the bottom. They should rise slowly to the top, and after a few minutes, they should start turning themselves over. At this point, you can slowly turn up the heat a little until they are a golden brown. Before adding the next batch, let the oil cool down a little. Warning! Do NOT have small children anywhere near the stove. The buÃƒÂ±uelos have been known to explode and cause severe burns. I have a scar on my arm to prove it! I always use a mesh cover over the frying buÃƒÂ±uelos. 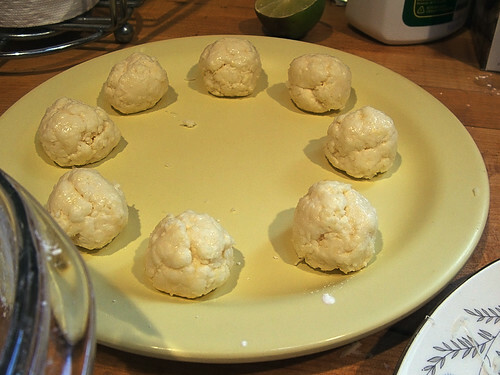 I tried to cook Bunelos for my Colombian best friend last year – they were a disaster. Now I have found your recipe and want to try it this year. 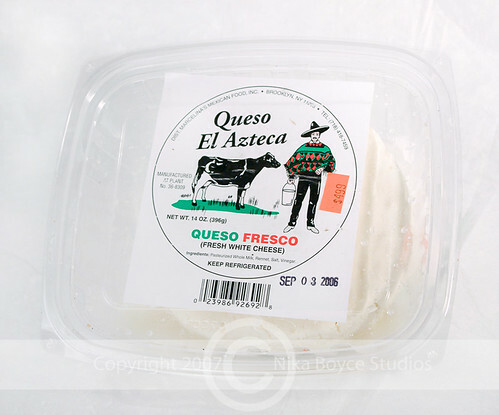 What happens if I cannot find the exact cheese that you show – are there other cheeses I can use instead? I mastered this recipe! 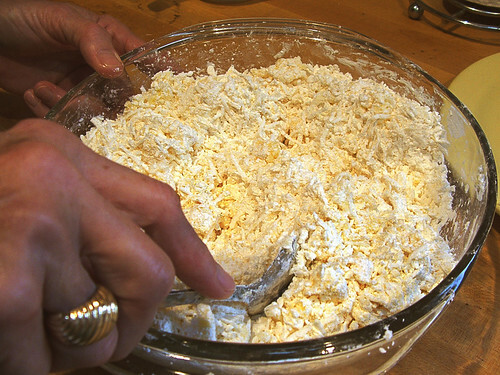 I have tried this recipe, but I also use this one: 1/4 c harina pan, 1/3 c yuca harina 1 TBSP brown sugar, 1/4 tsp baking powder, one egg, 2 cups shredded queso blanco, and 1/2 tsp of salt (depending on how salty the white cheese is.) and a splash of milk. I heat the oil on my gas range, and I set the dial on medium flame, let it heat up for about 20 min or so, then I mix all of this by hand, make little balls (they don’t have to be perfect, and not too tight–about the size of golfballs b/c they grow) and put about 6 in at a time in a large deep metal stock pot filled about half way with oil. My stock pot is 8qt and use veg. oil. they will turn by themselves and cook for about 8-10 min until they are brown. It has taken me a long time to finally master this. A lot of the recipes I’ve seen, in all of my colombian cook books, leave out the harina pan (pre-cooked corn flour for arepas, etc.) this makes the shell crunch on the outside and not soggy. You should try it!! I used 1 cup Cornstarch with 2 cups crumbled queso fresco (1 1/2 lbs) two eggs worth of eggbeaters , a pinch of salt, a t of sugar and 1/2 c milk. 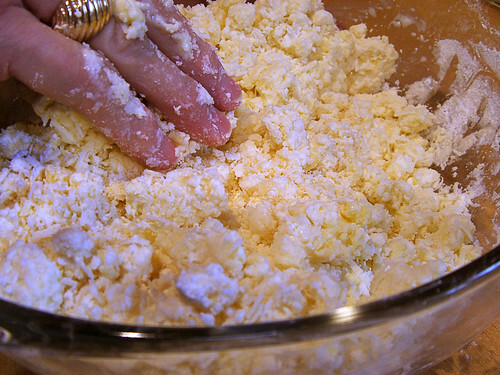 Star twith the crumbling of the queso add egg one at a time (or EB) add the sugar and cornstarch and salt. Add the milk . I mix with a large serving fork . Voila! Keep the burner with the oil (canola) on 4 or 5 or medium/low so as not to burn them -I did that the first time I made them. I sprinkle powdered sugar on them and my 16 and 9 year olds can’t eat them fast enough,and yet they are both very thin. They taste like donuts yet the kids are amazed when they see me prepare them with CHEESE! Very low carb as well. Fascinating, egg beaters, hmm. Am so glad it worked out for you all! Nika I will try this recipe in the west coast, hopefully it taste good.